[Weekend Poll] Do Carrier Logos On Your Phone Actually Bother You? 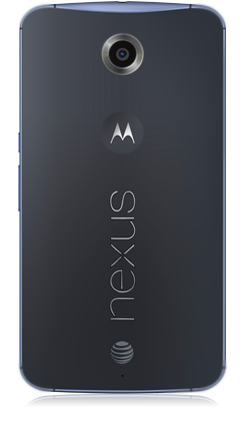 So, we just found out that the AT&T version of the Nexus 6, which everyone had assumed up to this point would be exactly like every other Nexus 6, is not in fact like every other Nexus 6. It has been... branded - allegedly. At least according to AT&T's BusinessDirect device site. 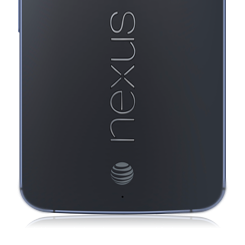 If you ordered a Nexus 6 from AT&T, you probably did not expect this. You probably did not want this. But it appears as though AT&T is going to be giving you a painted-on reminder of where you bought your phone that you could also buy from places that are not AT&T. But it's only on the back of the phone, and honestly, it's still not Verizon-level obnoxious. So, this brings us to this week's poll: do carrier logos actually bother you? I realize some people feel strongly about this. Others, myself included, don't really care - as long as the phone otherwise functions as expected. Bloatware is the real evil - a logo is just a small but basically harmless manifestation of evil corporate marketing executives. Carrier logos on your phone: do they actually bother you? Yes, they really, actually do. Like, I scrape them off / paint over them / burn them in ritual sacrifices. Yes, but they don't actually affect whether or not I'll buy a particular phone. Nope, I don't care - it's just a logo.